Still from the video which shows a man beating a young girl. Maldives Police Service has started investigating the case of a man beating his young daughter using a wooden stick in G. A. Dhevvadhoo. 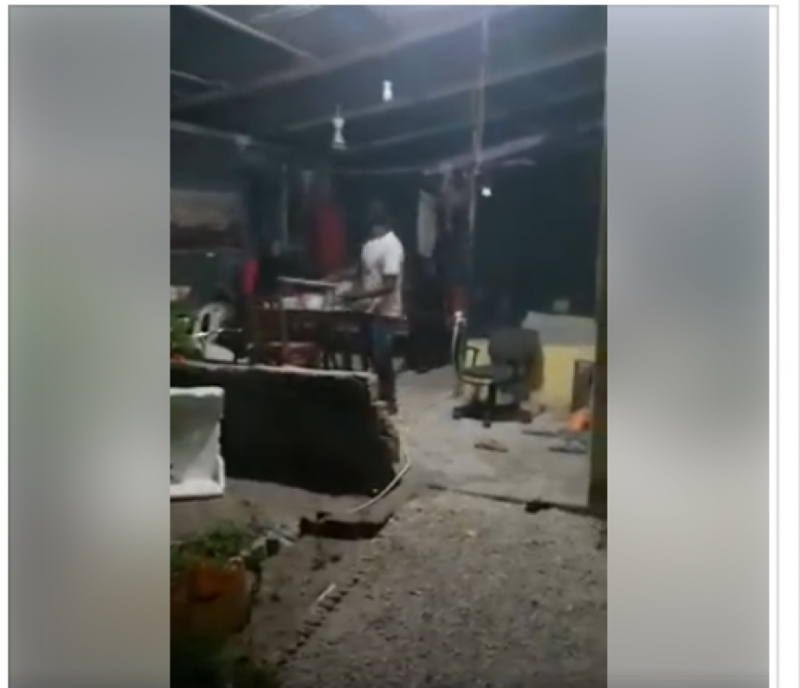 A video of the alleged incident has been circulating in social media. The video shows an angry man beating a young girl with a wooden stick, and the young girl crying. The girl is then seen running out of the house and the man following her out and beating her with the stick. The video then shows another man intervening and stopping the man from beating the young girl. “Sun” has been informed the video shows a man beating his daughter who turned 18 years this April. A reliable source informed “Sun” the man grew angry at his daughter after the girl shared her phone number with a boy, without the man’s permission. Maldives Police Service has confirmed it is investigating the case of a man beating his daughter in Dhevvadhoo. The man is not in custody at this point.